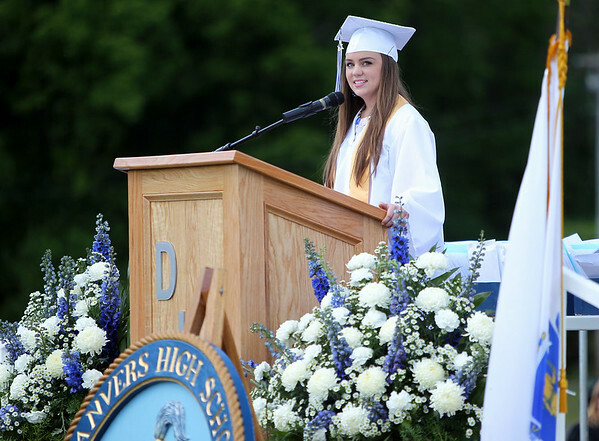 Danvers High School senior class president Catherine Curran stated in the Class Officers' speech, "In tragedy, we have risen above, and we have shown the Danvers community and the community at large that we are strong, Danvers Strong." DAVID LE/Staff photo. 6/7/14.